Like everyone else I would imagine my skin has been suffering from the weather. In the cold and the wind I notice plenty more blotches and red patches on my skin. It’s not helped by central heating either, thanks to that I now get dry patches on my normally oily skin. I decided to try the set of skincare that local brand Skinician gave me. This is the force behind He-Shi and Tantastic fake tans, both off which I’m a big fan. I also wanted to try out a local range for a change. As many bloggers will agree it can be hard to stick with one skincare range – I flit around cleansers, moisturizers and serums like you wouldn’t believe but for my skin’s sake I decided to settle down to one brand for a while. So for the last couple of weeks I’ve been using Skinician cleanser, toner, serum and moisturiser and I noticed the difference straight away. Gone are the nasty blotches that appear on my cheeks in the cold leaving me with noticeably smoother and less blemished skin. I also haven’t had a single spot the whole time I’ve been using it. What strikes me most about the Skinician brand is how thick and luxurious the products are without feeling heavy on my skin – the moisturiser and serum sinks into my skin straight away. The other thing is that a little will go a very, very long way. Although creams are sold in 50ml tubes you need a tiny amount each time. Prices start at around £15 for the Gel cleanser and £35 for the Time Delay Day Cream. 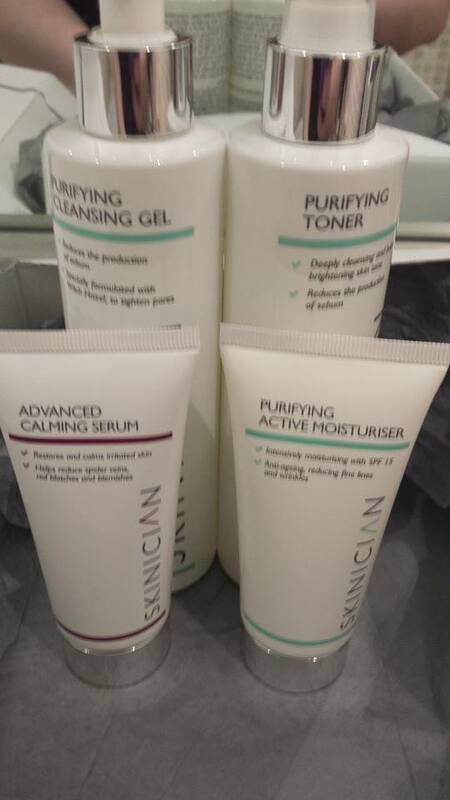 Skinician products are mostly available in salons around Belfast including La Bella Vita and B’Pure in Dundonald. You can also treat yourself to a Skinician facial starting at £50. 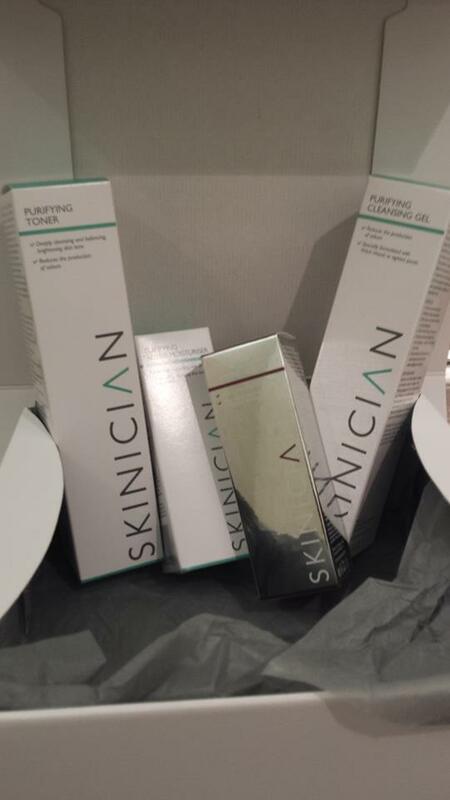 For more information on Skinician go to http://www.skinician.com.